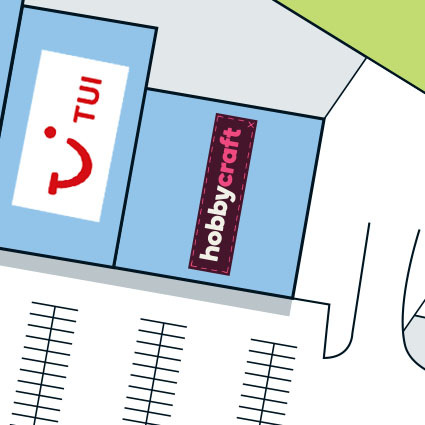 Hobbycraft are the largest arts and crafts retailer in the UK with more than 80 stores nationwide. We aim to make Hobbycraft the place for you to feel inspired and excited about craft. So, whether you’re new to crafting and want some advice, a busy mum looking for a school project, or a cross stitch expert seeking new ideas, we’ll help you with everything you need. Pop into any one of our stores and you’ll soon discover that from managers to colleagues, we all share an interest in making things and we’re always happy to chat about your latest project.